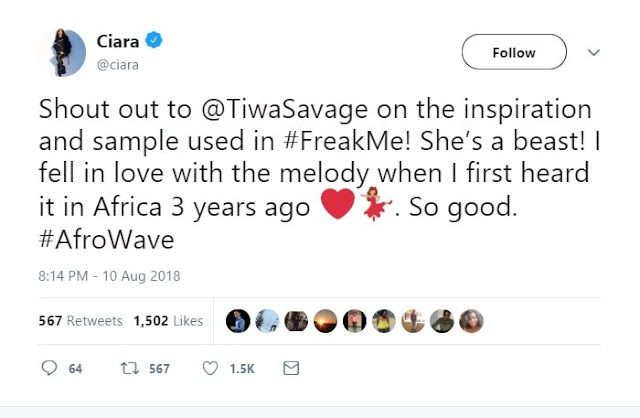 American singer Ciara on Friday released a single titled Freak Me, which featured singer Tekno who also produced the track. Ciara has taken to her Twitter page to give Tiwa Savage credit for the song. 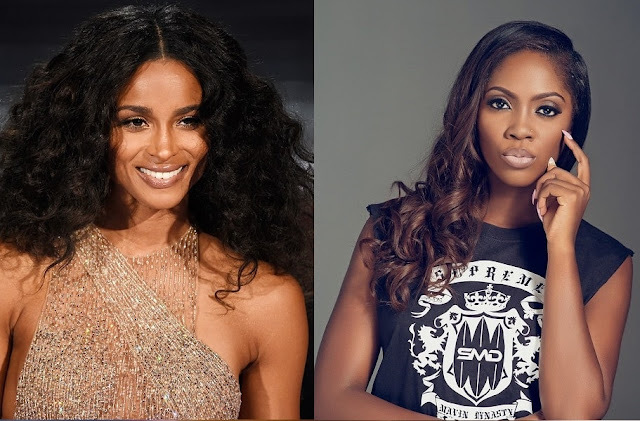 Ciara visited Nigeria in 2016 where she performed at Darey Art Alade's Love Like A Movie show at the Eko Hotel Convention Centre.